I was in England earlier this month for Tea & Coffee World Cup, which took place in Birmingham (3-5 September). Although I was there for business, I did have a few free hours, including the day I landed. Surprisingly, I was able to buy last-minute tickets to visit the State Rooms at Buckingham Palace — in my many visits to London, this was the first time I was there when the palace was open to visitors. After the tour, which was absolutely fascinating, I stopped by the Buckingham Palace Café for a much-needed coffee, which was unfortunately, awful. While on line waiting to order and pay, I began talking to two gentleman – one from New Zealand, the other from Essex, England – so we sat together. After ordering tea, they proceeded to remove the plastic lids off the cups of hot water, insert the tea bags and then replace the lids. After letting the tea steep for a couple of minutes, they begin drinking. Both left the tea bag in their cups the entire time we chatted. Neither liked the taste of the tea, which I believe was English Breakfast. As I watched the tea bags remain in both cups, I thought about how plastic in tea bags has become quite an issue this year, but more so in the United Kingdom than in North America. In its 2018 Tea Report, Tetley revealed that one in five consumers are drinking more tea than they did a year ago. According to the UK Tea and Infusions Association, British consumers drink 60.2 billion cups of tea every year, 96% of which are brewed using tea bags. Many of the most popular British tea-bag brands reportedly use a sealing plastic called polypropylene to fasten the tea bags and retain their shape. The subject of plastic-free packaging for food and beverages has become of greater interest to British consumers following Sir David Attenborough’s program, Blue Planet II, a 2017 British nature documentary series on marine life that showed how much plastic is in the world’s oceans and seas, and the damage it is causing (its predecessor, Blue Planet, debuted in 2001). 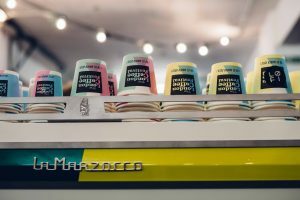 “There has been a wave of interest from both the consumers and the press in plastic free, with many companies scrambling to become plastic free by 2020,” said Andy Byron, sales and trade marketing executive for Brentford, England-based Teapigs, in “Demand for Plastic Free Tea Bags Affects Packaging Changes,” by Anne-Marie Hardie, which appears in the July/August 2018 issue of Tea & Coffee Trade Journal. The concern surrounding the harm that plastic is doing to the planet is real (I’m sure most of us have seen videos of turtles, dolphins and fish ensnared in the plastic rings found on six-packs of soda cans). However, whether plastic in tea bags is negatively affecting our health, remains to be seen. Some say the UK is over-reacting as the amount of plastic traditionally used in tea bags is minimal. 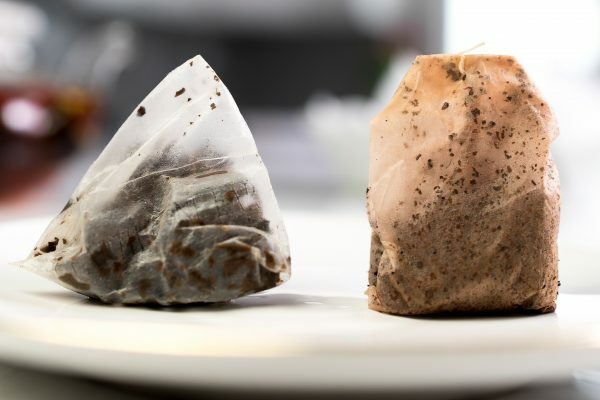 The main components of tea bags are constructed of natural fibers – the plastic is used to thermally seal the bag – and filter papers adhere to all food regulations. “The concern over plastic in teabags is completely unfounded. Tea has never posed a health risk to consumers. 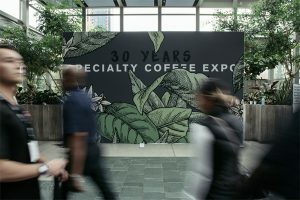 Tea is a healthy beverage and messages like this do a great disservice to a product that does us good,” Shabnam Weber, the new president of the Tea and Herbal Association of Canada, told T&CTJ in a Q&A that appears in the September issue. Many companies are now promoting PLA for cups and for tea papers. PLA – polylactide or polylactic acid – is a resin made from the carbon stored in plants by photosynthesis in the form of dextrose sugar. (The carbon and other elements in these sugars are then used to make a biopolymer through a process of fermentation and separation. The resulting resin is called PLA.) 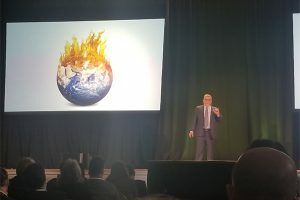 Pettigrew explained that although companies that use PLA claim it’s biodegradable — it apparently is not. I agree that it is a case of ‘watch this space.’ It seems that for now, at least, we will all have to wait to see what happens next when it comes to plastic-free tea bag solutions. Compostable or recyclable? Which is the better option? This is very clearly a case of protecting the vested interests of large multinationals who want to protect their brands and markets. The solution to this is simply to promote the use of loose leaf teas. It is ridiculous that we continue to drink tea in little bags which have been processed in factories. We cook food and eat it on the go.. We should be able to brew tea and drink it on the go.. Ie the argument that we need tea bags in our lives (convenience etc) is one that needs to be challenged. This is the hard part due to the fact that large tea companies see no benefit for themselves. Lower margins, fewer opportunities to differentiate are two key obstacles . That is the inconvenient truth. It means the change will be consumer driven… 😀 The move towards clean eating will be one reason for this change! After 35 years of being in the wholesale tea business I can count on one hand the times I’ve been forced to drink tea that has been brewed in a bag. We’ve been drinking tea for 1000’s of years and don’t need a wretched piece of paper to brew our favourite tea in!